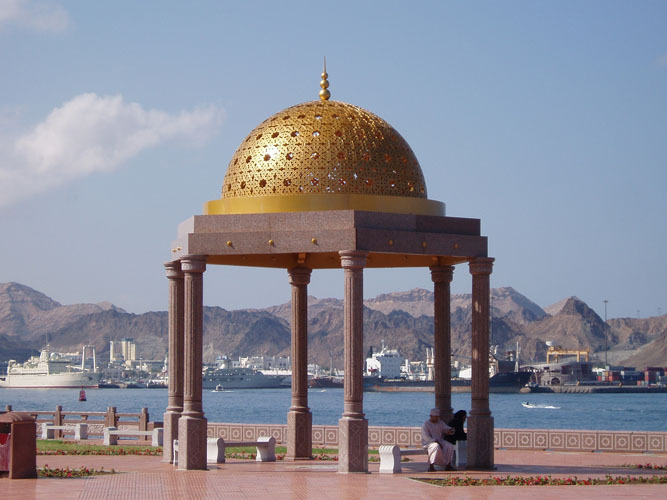 If you look anywhere in the Sultanate of Oman, you will find us everywhere – right from Glass Reinforced Concrete (GRC) screens, landscaping and decorative columns to balusters; Glass Reinforced Plastic (GRP) products such as water tanks and cabins to automobile and electrical parts; Glass Reinforced Gypsum (GRG) ceilings in mosques, hotels and shopping complexes to shades, post boxes and fountains. The company behind them all is Al Turki, GRC-GRP-GRG Division, a part of Al Turki Enterprises L.L.C., a multi-faceted well-known Construction Company, successfully operating in the Sultanate of Oman, since the last two decades. Realizing the market potential and in line with the policy of backward integration to support in-house construction activity, the GRC Division was established in the year 1990. Specially designed computerized controlled Premix and Spray Station were imported for the first time in Oman from the reputed GRC machinery manufacturing firm M/s. Power Sprays Ltd., U.K. to begin operations and give a new dimension to construction-related activities. The state-of-the-art machinery complimented by highly motivated, well-experienced staff and craftsmen resulted in production of high quality GRC Products. The quality standards were boosted in the year 1992 when the factory was awarded full membership of ‘Glass Reinforced Concrete Association’ (GRCA), U.K., an international organization monitoring and promoting GRC Products. Al Turki, GRC Division, has grown to be the market leader in the Sultanate of Oman, having almost two-third of the market share. Always innovating, the company is the pioneer in developing new surface finishes such as Simulated Stone Finished GRC Products. Encouraged by the early success of GRC products, GRP (Glass Reinforced Plastic) and GRG (Glass Reinforced Gypsum) production facilities were soon introduced. The award of major projects of Stadium Ceiling in GRP and a Palace interior in Gypsum for the Diwan of Royal Court kicked off its successful launch. 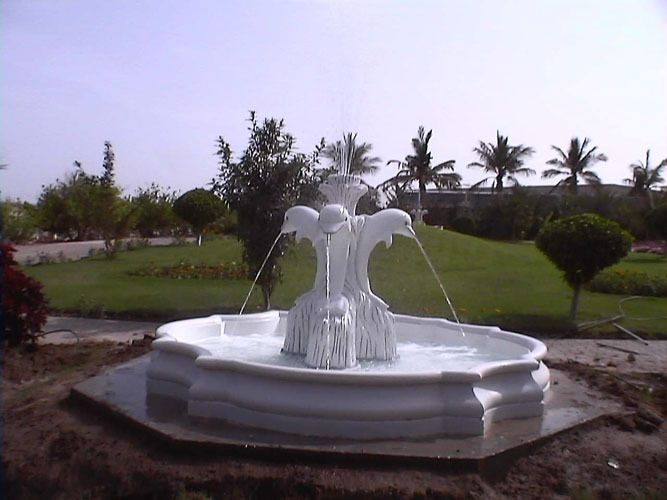 Glass Reinforced Cement (GRC) – Architectural products such as Decorative Screens, A.C. Covers, Cladding Panels, Column Capital, Bases, Domes, Castellations, Planters, Permanent Formwork and a wide range of custom-made applications. Glass Reinforced Plastic (GRP) – Architectural lightweight Cladding Panels, Weather resistant Cantilever Stadium Ceilings and Vaults, Logos, Emblems, Manhole Liners, Modular Buildings, Kiosks, Car Park Shades, Facias, Water Tanks, Sewage Holding Tanks, Fountains, Translucent Domes, Corrugated Roofing, etc. Glass Reinforced Gypsum (GRG) – This is a special grade gypsum used for long lasting interior applications such as Cornices, Mouldings, Flat Ceiling Column Capital, Arches, Domes, etc. The GRC Factory is situated over a sprawling 16,394 sq. m. plot which includes a covered factory shed of 5960 sq. m. in the Ghala Industrial Area and the best in manpower and machinery. The factory has an in-house Quality Control Laboratory with computerized Tensile Testing equipment conforming to international standards. As part of the expansion plans, a sophisticated factory is being constructed in Rusayl Industrial Area.